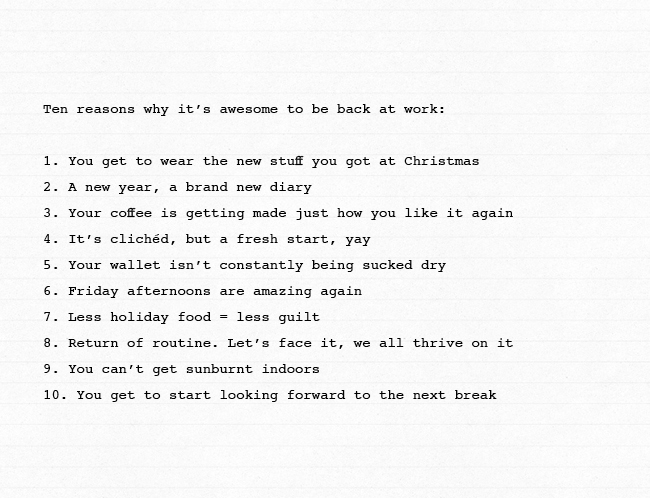 Here it is: ten reasons why it's awesome to be back at work. I'm SO glad the holidays are over. Phew!